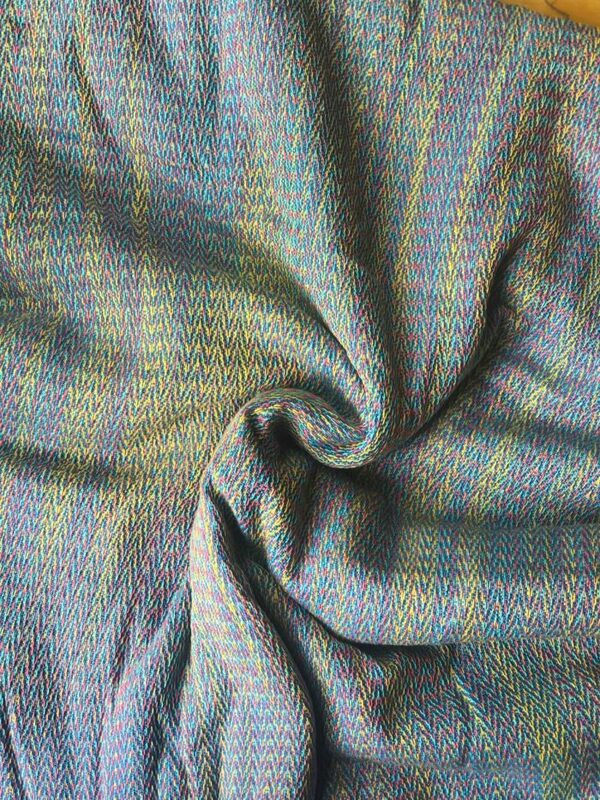 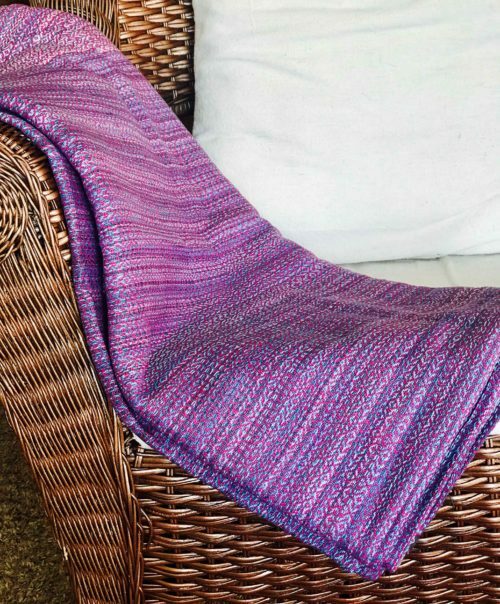 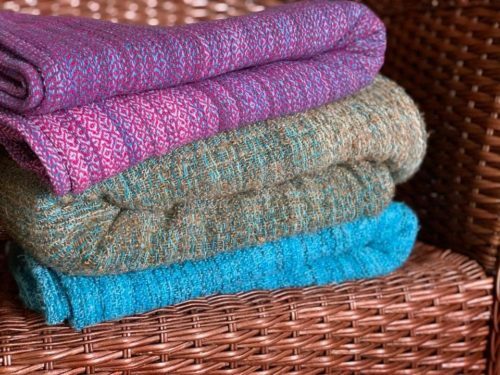 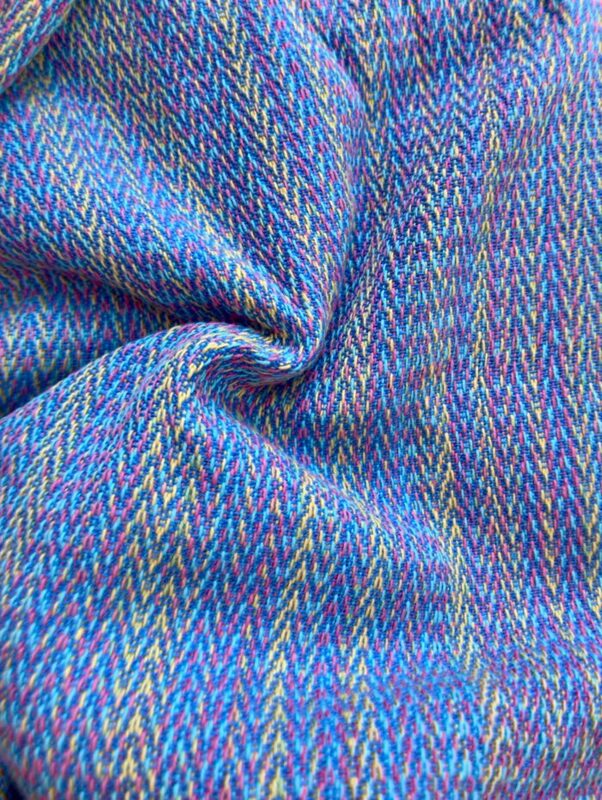 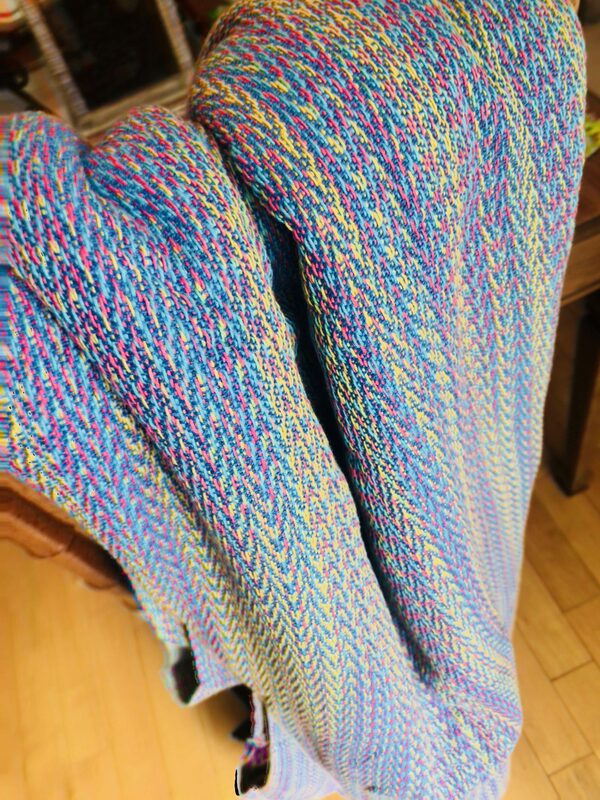 Introducing Ethos Chameleon, this unique piece was handwoven in the US with 100% 8/2 cotton, the warp is variegated in shades of pink, yellow, blue and green with a blue weft in twill weave that changes color depending on the angle and lighting. 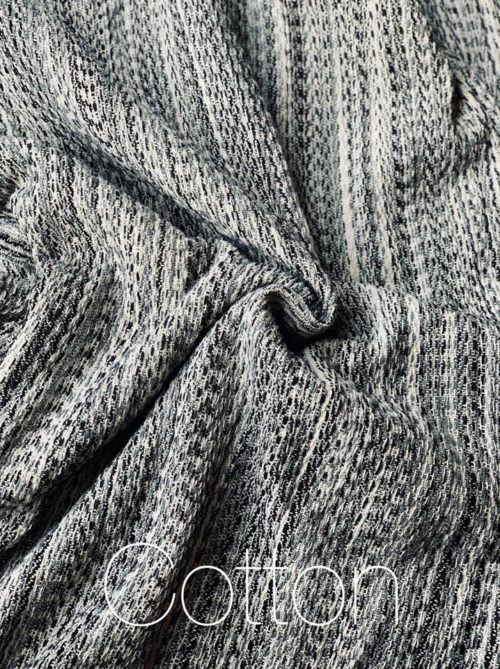 Chameleon is a super cushy wrap with excellent grip and an approximate gsm of 320. 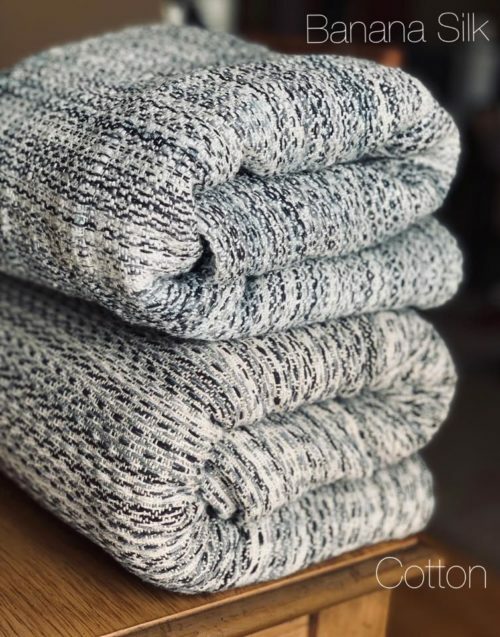 This beauty is suitable to snuggle all ages but is especially delightful for bigger babies and toddlers when you really want support and comfort.